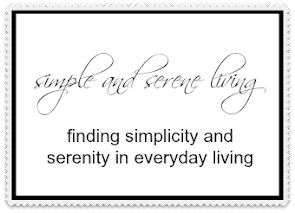 F Simple and Serene Living: women speak: do you fear change? 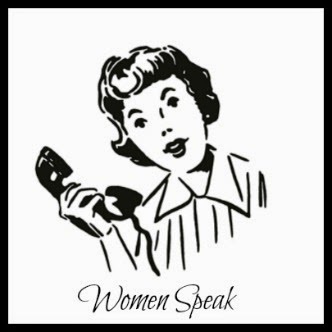 women speak: do you fear change? Are you afraid of change? Do you fight it? Change is inevitable, so why do we fight it? Change causes stress, and it does so even if the change is good. Why does it cause stress? Because it moves us from our current environment into a possibly unknown realm. Our brain tells us things should stay the same and when we are faced with change it may put up roadblocks to that change. So we tend to seek out people and environments that will reinforce our current beliefs. However, if we don't allow change to happen, we can't move forward. We become stuck. In order to get past the roadblocks that our brain sets up, we may have to allow ourselves to do a little freaking out, and then we have to change the way that we are looking at the change. Hmmm, I think there were two changes right there. I have faced so many changes in my life and yes I have fought many of them, but I had to learn to accept the changes so that I could move forward. We all face changes. Some small and some really huge. Last week we talked about becoming "Suddenly Single". You can read that here. That is one of the huge changes we may face in our lives. Getting married, getting divorced, having children, becoming an empty nester, going back to work, losing a job, retiring....... These are all major changes, but small changes can also be difficult. Should I change my toothpaste? Should I wear a different hairstyle? Should I change my daily routine?.......... Well, you get the picture. I would love to hear how you face the changes in your lives. 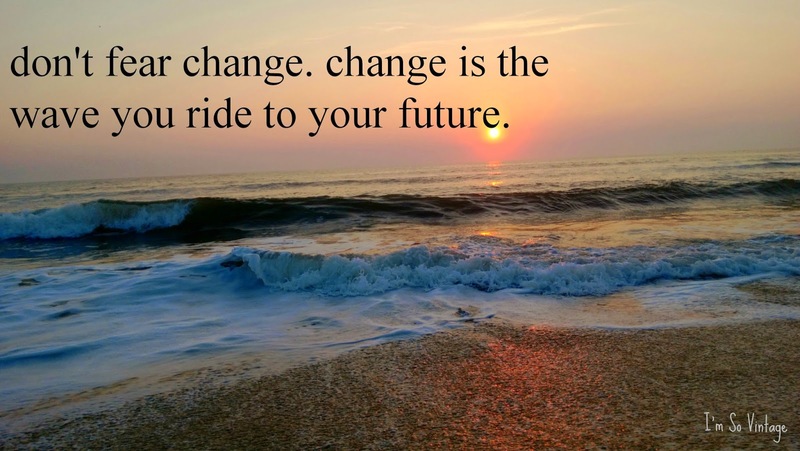 Do you need help now facing a change? Do you have advice to other women facing changes in their lives? I've had quite a few changes in the past three years. They were scary changes, and yes, I was a panicky mess. I worried I wouldn't have enough money to live. That I would end up living on the streets. (My ex reinforced that fear when I was still living with him.) But each time I've managed, despite the odds and the fear. I try each time to tell myself that worrying won't help matters, just make them worse. The bit of advice I would give is to try yoga stretching in the morning and evening. It loosens the muscles and helps you relax. And get out in nature. Just going out on the patio and snipping dead leaves or flowers relaxes me. And get at least 8 hours of sleep. They've found that less than that can cause problems. Change is something I struggle with. I really like things the way they are, but know that life is supposed to change. I guess I'm ok as long as the changes are good ones. Of course, we all know that life doesn't always give us good things. I've had to live with changes before. Some good and some not so good. But I will say that usually the bad things turn out to be good in the end. After I adjust to it, I look back and think, now why did I let that bother me so much? I always remind myself though that when I endure something I don't like, that it's making me stronger in some way. I also try to pay that forward and help others that might be going through something that I've encountered before. I often look for advice or comfort from others when I feel like I don't have what it takes to deal with it alone. As independent as I am, that's when I need people the most! I think we should all not be afraid to ask for help during times like that too. It's amazing how much better you feel when you have the support of other people. I've never been much for change, even though I can say I'm a little adventurous. I don't know how the two can exist side by side. I am struggling with the possibility of having an empty nest in the near future. As my husband gets older (there is a 7 year difference in our ages), I worry about being alone one day, and sometimes, how will I take care of him should he become really ill. So yes, I guess I'm afraid of change because the changes I foresee are losses. I know I should probably do more things with friends, have more of a life apart from him but I guess that's a change I don't want to face either. Jane, fear of the future when we have the expectation of negative changes is not uncommon. I guess the secret is enjoying the present moments and preparing for the future changes as best we can. I will talk about the empty nest syndrome in a future women speak post. So many of us have gone through this or will go through it. It is definitely a big change, sweet friend. I am one of those oddball people that likes change. I thrive on it-it makes me stretch and grow. The biggest obstacle to change, I think, is that it is sometimes scary. We need to go into it knowing that we won't have all the answers but that things will work themselves out in the way they should. This is a wonderful forum, Laura. xo Diana ps-just so you know you are a No Reply again when you leave a comment on my blog. I love change but I have to admit that most of my changes have not been drastic. One of the best changes I've had was when John started traveling with his job. Not that I was glad he was gone from Monday till Friday, but that I learned to be very independent. I had to learn to do a lot of things that he normally did. I look back now and realize that the Lord was preparing me for this season of life where John is I'll and I have to do these things. But, I always embrace change and most generally, it has turned out good. It is so interesting to look back and see how change has made us grow, Judy. Although many of the changes in my life have been quite drastic, I look back and know that they have helped me become the person I am today. You are a strong and caring woman, my friend. Change is definitely difficult but part of life. Our big move 6 months ago was tough because I left a lot of friends as well as convenience behind. Now when I need to get groceries it's 20 mins. Used to be 5 mins and I had a choice of 3 beautiful markets. The weather is also hard to deal with but such is life. Have a great day, Laura! I've gone through many changes in life....and each one is a challenge...but facing that challenge each and every day is always rewarding. If I think about potential future changes too much, it can worry me a bit. I just try to take things as they come. Change is inevitable. It is inevitable, Michelle. That is why it is so important to enjoy the present moment. I'm facing a huge change as we've decided it's best to homeschool Shelley the last two years of high school. Actually, we think it will be less stressful for everyone. Being one of those people that truly hates change the last nine months have had a conditioning effect on me. I was a list maker, a calendar watcher, a planner par excellence. Today I am taking each day as it comes, Laura. Maybe not with a sense of adventure, but with quiet gratitude for each new day. Lately I've come to the conclusion that I don't like change quite as much as I think I do...good changes are fun. Stressful bad changes not so much. Life is always fluid, and sometimes I don't want to be sloshing around so much, but as it happens I adapt. Brilliant and very helpful post Laura. PS, I'm still having trouble finding a link to your blog on your Google+ profile, I can only reach you through your posts that you have put on Google +..